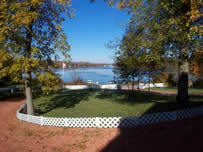 Beautiful Rice Lake, Northumberland & Kawarthas"
"With Sharon, Our Farm Near Rice Lake And Warkworth Sold In 3 Weeks And For More Money Then We Ever Expected! Her Personality And Dedication To Us Made The Whole Process Easier. She Is An Agent From Re/Max Realtron Realty Living And Working In Our Area For Many Years Offering Experience And Knowledge. We Highly Recommend Sharon Who Works Hard For You!" 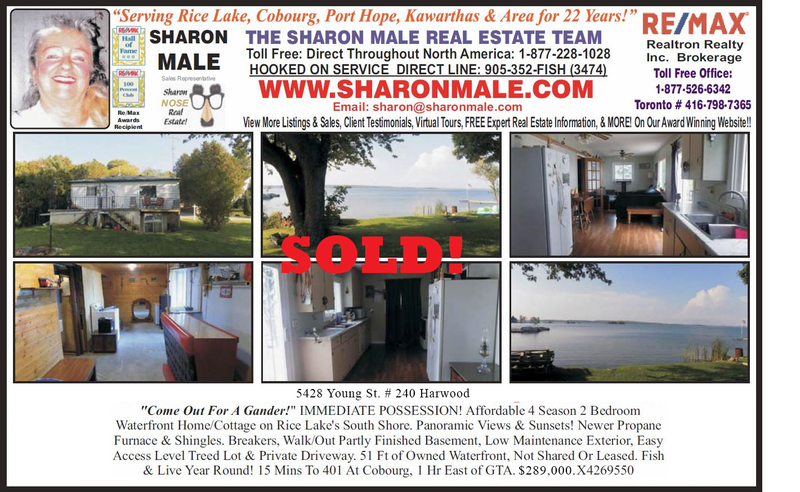 "Thank you so much for all the hard work and effort you put into selling our home in Port Hope. Your aggressive advertising campaign began from the moment we signed the listing. 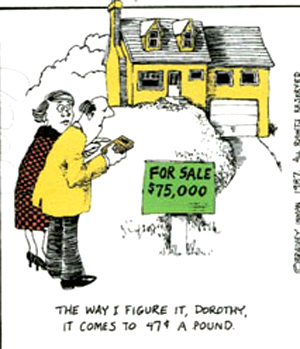 It led to lots and lots of showings and the sale of our home. During all the showings it was awesome to have feedback. You were with us every step of the way, something we were not accustomed to with our former real estate Realtor. As you know we were a little skeptical about signing after the devastating blow we suffered as a result of the poor misrepresentation we received from one of your competitors. But with our request you stepped in and sincerely felt horrible for what had happened to us and assured us that everything would be okay. Your professionalism and ethics certainly did not go unnoticed and were a welcome relief during one of the most difficult times in our lives. You did exactly what you said you were going to do,you sold our home. Thank you for everything. We will always remember what you have done for us. Nothing in this world is for certain except that you have definitely restored our faith in Real Estate. We will look you up in the future when we are ready to buy again." 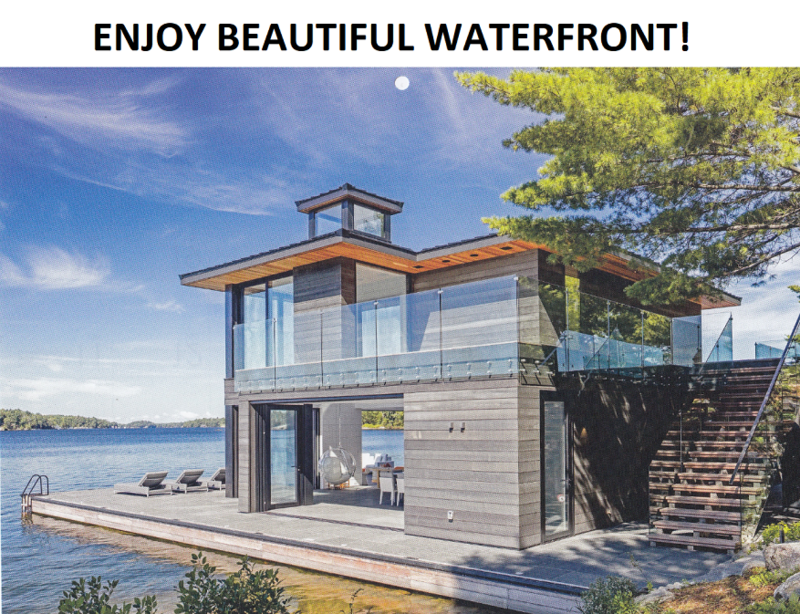 "We would like to thank The Sharon Male Real Estate Team for an amazing job on selling our cottage on Rack Island, Rice Lake. We expected our cottage to sell between 7 & 9 months and much to our surprise Sharon had it SOLD in less then a month. We are exceptionally satisfied with the recommendations and the way The Sharon Male Real Estate Team communicated and kept us informed at all times during the sale process. 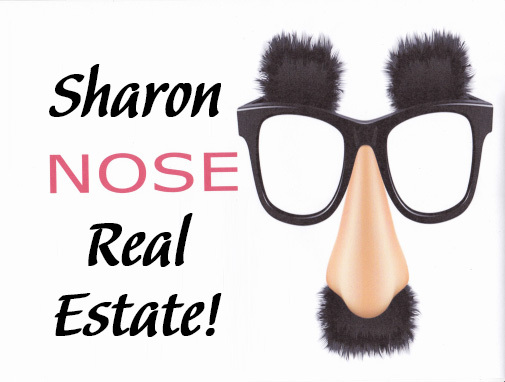 The most important reason why we chose Sharon was because she lives in the area and is knowledgeable with the many sales of properties. She knew how to promote our Island property to the public. Excellent Job! 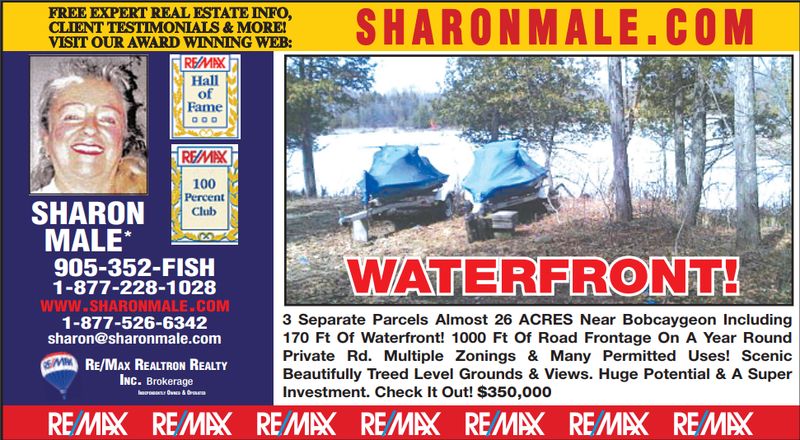 We will highly recommend The Sharon Male Real Estate Team to all our friends and family. 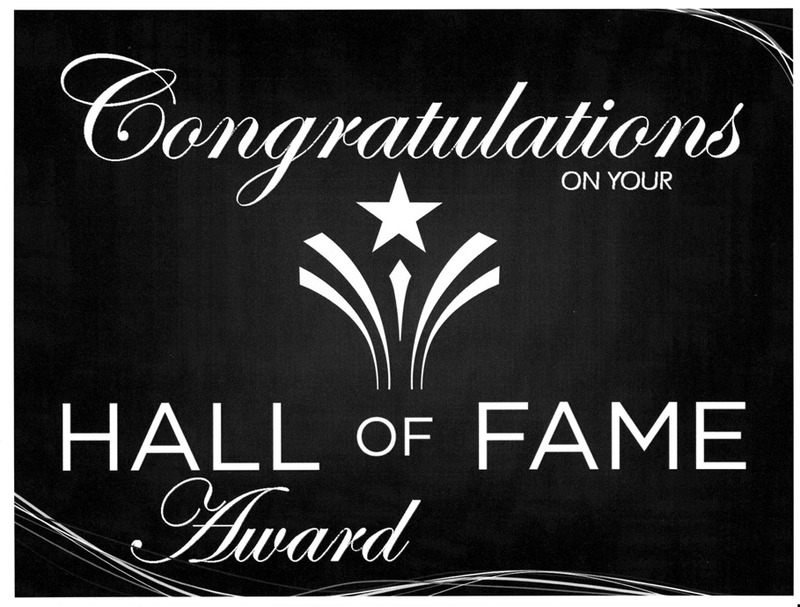 Thank you again for all your hard work and your excellent service." Your dedication, commitment, support and service is truly unique today and we are so blessed to have you as our agent! You walked us through every step of the way, answered all of our numerous questions and went beyond all of our expectations! We have dealt with other agents in our past and they fall far below the bar you set and deliver on. There is no other agent that I would ever recommend or call upon other than you, your knowledge and advice brings the very best to your clients. 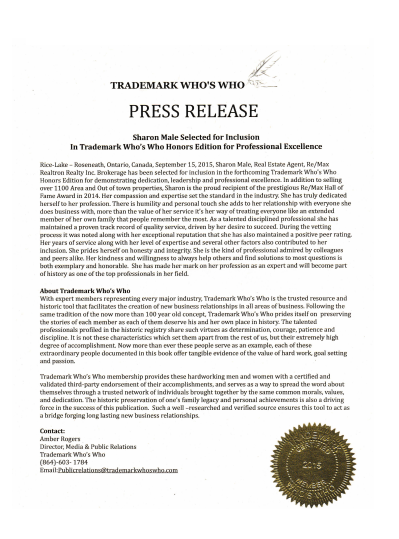 When you want the very best, it is definitely Sharon Male and her wonderful team!" PARKVIEW DR. & HAMPTON CRES.